...... hidden in the valley of the Wiltz invites you to a vacation at your pace. Situated off the road, it's a only short walk away from shops, restaurants, cafés, open-air swimming pool and railway station. The comfort of a small town combined with the charm of a wonderful countryside allow you quickly to get out of your daily stress. Our non-smoking vacation rentals are equipped with everything you need. We have created a peaceful place that makes you feel at ease. 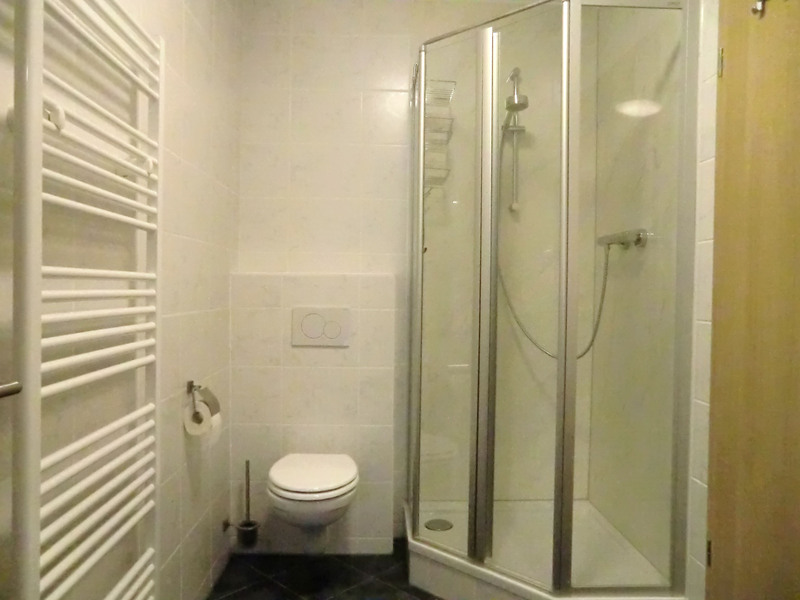 The bathroom has a shower, sink + WC. Hairdryer, radio, Sat-TV and free WiFi are of course in each apartment. One parking place per rental is at your disposal in our courtyard. You have access to our large garden along the Wiltz. There is a special corner for you to enjoy the garden and the river where you have the possibility to barbecue. If you come by train, it will be a pleasure for us to pick you up at the station of Wiltz. (Please tell us at reservation). Sorry, but we cannot accept animals. On demand you have a direct access to our sauna retreat with sauna, infrared cabin, solarium and relaxation corner . For security reasons kids under the age of 6 may not use these facilities. Kids from 6 to 14 may have access only in attendance of at least one adult. The beautiful countryside of the Luxembourg Ardennes offers fantastic opportunities for walking, nordic walking, jogging, biking and mountainbiking. Wiltz also has a well planned Mountainbike road network. Mountainbikes can be rented in Wiltz for a low fee. Just check the links below to get to know more about the numerous get-aways and sightseeing hits of Luxembourg and its surroundings.